I make no secret of the fact that this girl loves her Froothie Blender – my Kitchen BFF – and my Froothie Juicer (which gets a mention here). So when I heard that Froothie were launching a dehydrator here in Blighty, I HAD to have a Froothie Dehydrator. *whispers – my trusty Excalibur went to a good home with a dear friend and her lovely vegan daughter* That one had served me very well. It now serves them very well. I could hardly contain my excitement when it arrived. I didn’t know whether to mug or hug the delivery driver. I did neither, you’ll be pleased to know. So, I think it’s kinda handsome. It’s bigger. A six tray. That’s one more tray than my previous one. It looks a bit sleeker and funkier – space age even – and looks good in our new, modern Utility Room. It’s digital not manual, so there are less fiddly knobs, which will need cleaning. You can set it by hours and minutes, which is also better. It has a variable temperature dial. Yay, it’s BPA free and being a Defender of Hormone Health, that’s great news for me. Although it looks good out on the worktop, it fits into the cupboard that housed my old one – bonus! It came with two mesh trays and two drying sheets. I’m the sort of girl who likes an instruction manual, a video tutorial and my hand holding. No need to find anyone to hold my hand. The booklet is brief, but covers what I needed to know. I didn’t even have to ask Mr P to help me. It’s not that I can’t work stuff, it’s just electrickery bobbins makes me nervous. Anyhoo, I’m sure FroothieTV on YouTube will have videos shortly. There are other videos on other appliances as well as some fab recipes. And I know that I can contact Customer Service with any queries on my new baby. 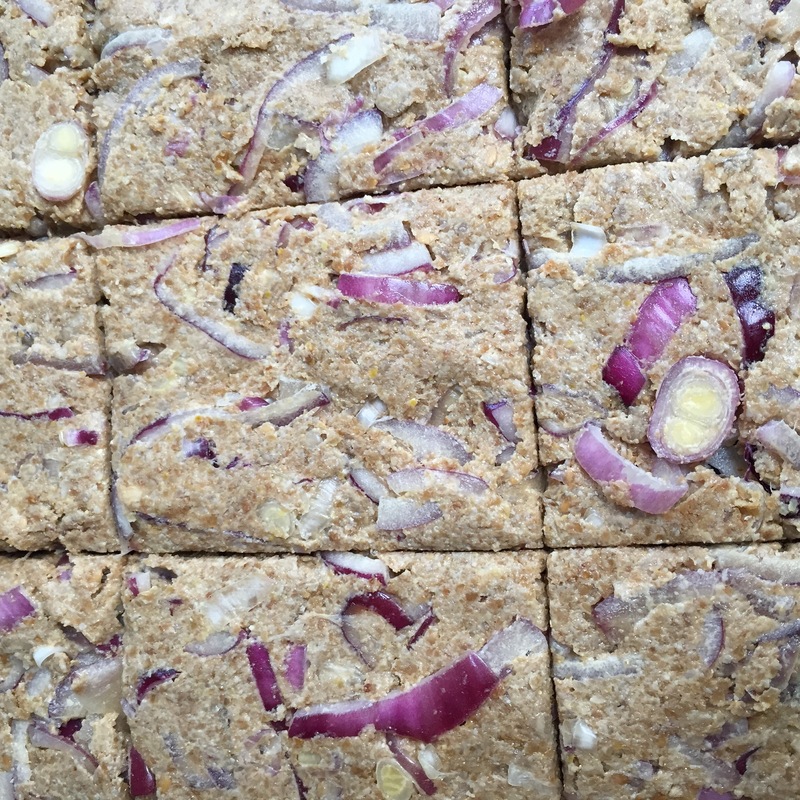 I planned make a couple of fave and basic recipes to get me cracking, so I opted for a raw red onion bread adapted from a Anya Ladra recipe and some spicy snack almonds. I temper the chilli in case I blow off Mr P’s head. So I rustled up my recipes and headed for the Utility Room. The Froothie dehydrator was easy to programme and we’re away. The first thing I noticed was how quiet it was. Of course, it makes a noise – it’s fanning your food dry – but it was slightly quieter than I’m used to. I also think the drawers fit more tightly, so more of the warm air stays inside the machine. The bread and almonds certainly dried quicker than in my previous machine, which is good news for energy efficiency. AND it costs about the same price as my previous smaller one. BUT look out for regular promotions on the Froothie website. I am sold. I LOVE it. It’s big thumbs up from me Froothie. Next project will probably be a mahoosive vat of dehydrator granola, when the extra mesh and sheets I ordered arrive. Form an orderly queue for breakfast chez Payne. 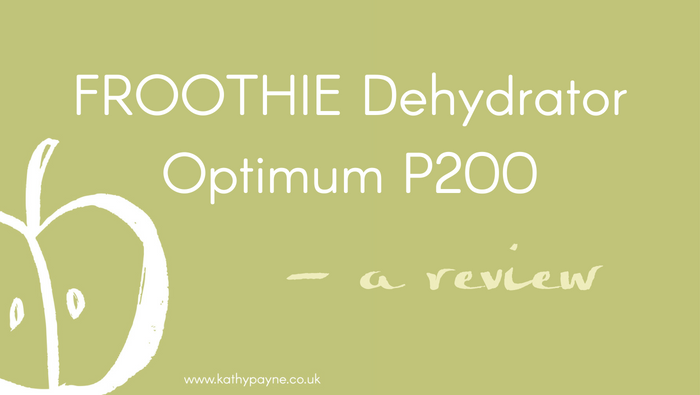 If YOU want to jump on the groovy Froothie train, check out the website for the latest products – the dehydrator, blenders, juicers, thermomix – and DISCOUNTS. There are often some VERY GOOD offers. P.S. I generally love Froothie products so much I am an Ambassador. This blog contains affiliate links. I genuinely prefer this new dehydrator to my old one. 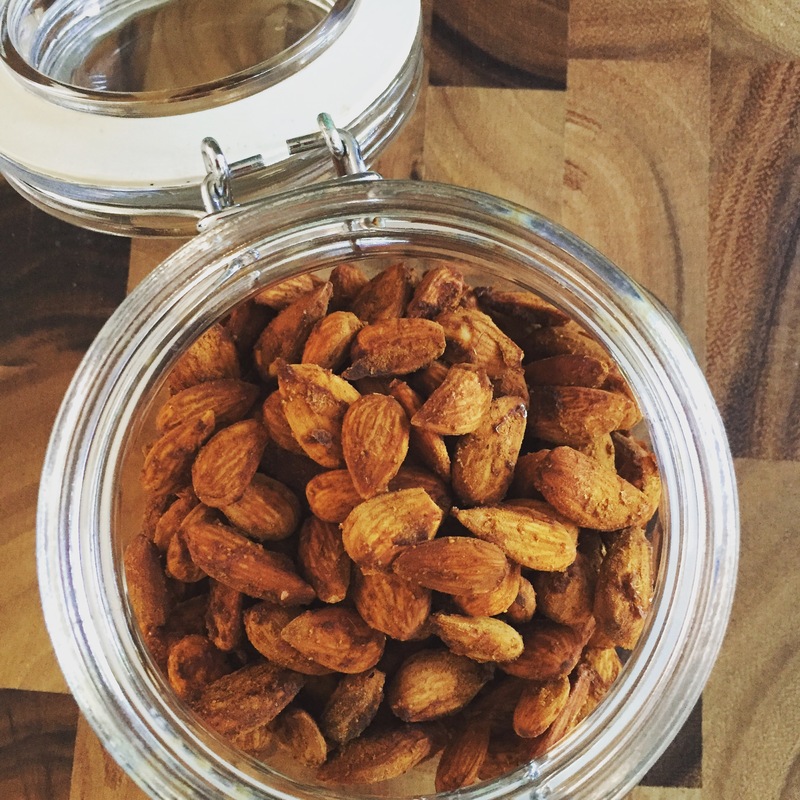 Awesome to hear that you’re enjoying the Froothie dehydrator. Can I put in a request for the recipe for that dehydrator granola? !